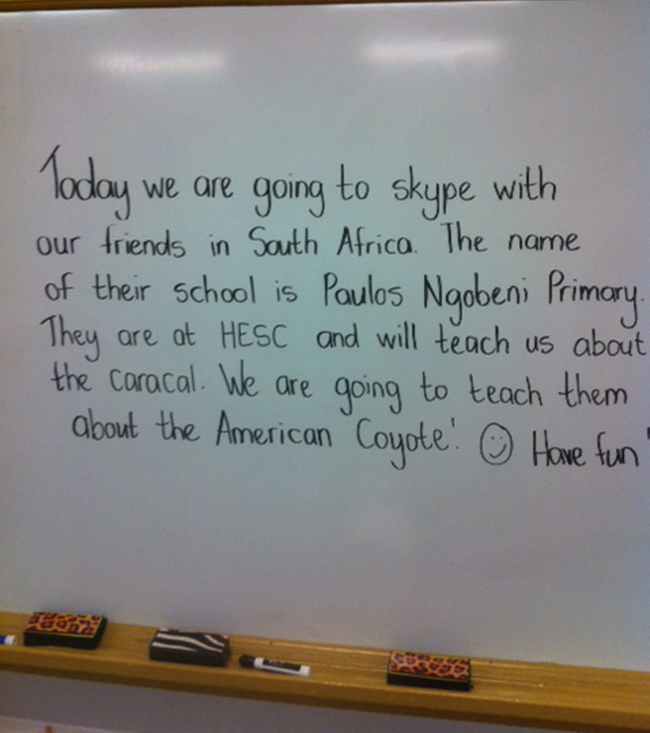 Paulos Ngobeni Primary School had the opportunity to Skype with Gray’s Creek Elementary in the United States recently. 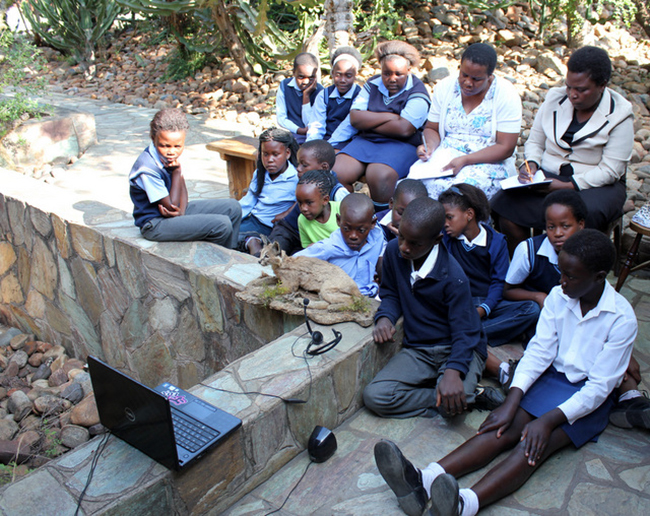 With the help of the Centre and Gray’s Creek Elementary principal, Cal Violette, the children had a 40-minute Skype session. 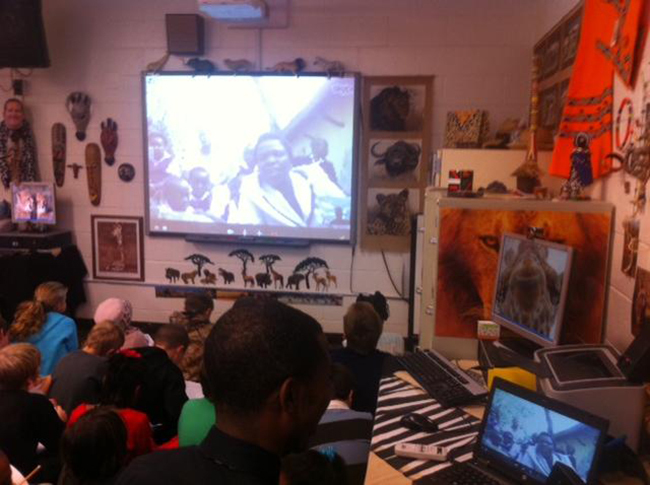 The skype session was held to educate Gray’s Creek Elementary students about the Caracal, and in turn they taught the learners of Paulos Ngobeni about the Coyote. The learners who participated had a lot of fun during the session, and also learned a great deal from each other about the two animals.